The Vikings have landed in Oklahoma. To be more specific, they have landed in Heavener, Oklahoma. We can only speculate as to why they came, but many archeologists agree that there were, in fact, Vikings in Oklahoma. It has been proven that Vikings have visited North American several times in our past. 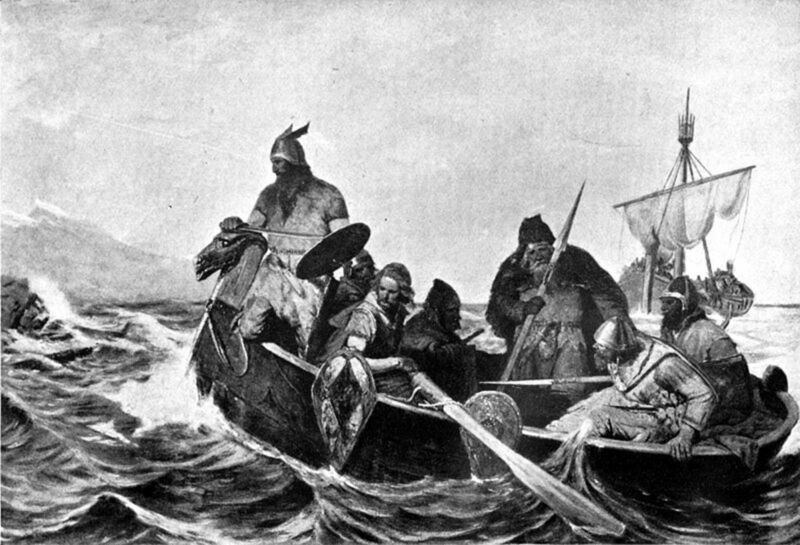 According to Icelandic Sagas, around 985 A.D., Bjarni Herjolfsson, a Norse settler to Greenland, was blown off course and sighted a continent west of Greenland. His wild ride inspired other Vikings to search for this new land. Nearly fifteen years later, Leif Eriksson finally explored the new continent. For the next ten years, a great number of voyages were made to the new land, which the Norsemen called "Vinland." Archeologists have extensively explored and documented the Viking settlements in Greenland and others in North America. Once established in Newfoundland and Nova Scotia, these brave Vikings began to explore other parts of this vast new world. It is believed that one of these ships traveled south along the Atlantic coast, into the Gulf of Mexico, up the Mississippi River and into the Arkansas River between 900 A.D. and 1000 A.D., although their exact route is still unknown. One can almost imagine the Norsemens excitement as they paddled their longboats south into warmer climates, leaving behind the harsh conditions of frigid north. The lands around present day Oklahoma must have seemed like a great paradise, and could even be called the home of Idun, the Norse goddess of spring and immortal youth. In a deep ravine surrounded by breath taking forests, the Vikings erected a huge stone pillar. This pillar rises from the ground like a sentinel, having kept watch over these ancient woods for hundreds of years. Measuring 12 feet tall, 10 feet wide, and 16 inches thick, the pillar has several carved symbols known as runes deeply chiseled into its face. The Heavener Runestone remained hidden within the deep ravine for hundreds of years. It wasn’t until around 1838, when thousands of Native Americans were forcibly moved from Tennessee into Eastern Oklahoma, that the runestone was first “discovered”. 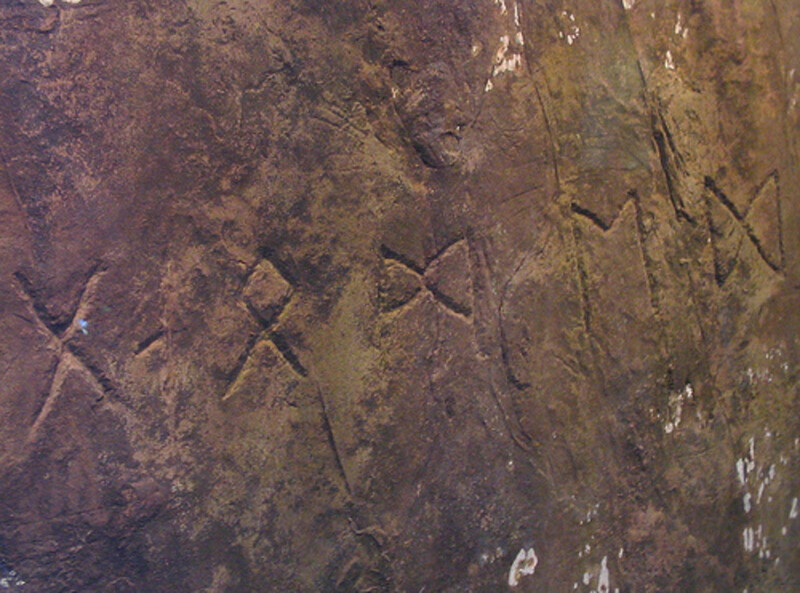 The early Choctaws and other settlers in Indian Territory stumbled upon the runestone while exploring the area around present day Heavener. Word spread quickly about this strange pillar, and it was quickly dubbed “Indian Rock” by European settlers, even though they knew the carvings had nothing to do with the Indians. As the area attracted more settlers, more runestones were being discovered. In the 1920s, a curious Heavener settler sent copies of the runes to the Smithsonian for identification. The Museum deducted that the writing was Norse, but at that time, the Smithsonian could not prove the authenticity of the runestones. Representatives of the Smithsonian were dubious as to the historical accuracy of the runestones, implying that a Scandinavian settler must have made the carvings by working from a primary school grammar book from his homeland. Unfortunately, many of these Viking runestones were destroyed early on by treasure hunters. The same fate might have befallen the Heavener Runestone if not for the efforts of Gloria Farley. In 1928, Carl F. Kemmerer, the same man who sent copies to the Smithsonian, took a skinny little girl, Gloria Stewart, to the present day Heavener Runestone site. His daughter was so impressed by the beauty of the secret place and the mystery of the writing, that she devoted most of her life in research, seeking to understand the lost meaning of this massive stone. Twenty years later, Gloria Stewart Farley would finally begin her in depth research of the Indian Rock. Her fascinations with this mysterious piece of history lead to many important discoveries, and the official renaming of the Indian Rock to the Heavener Runestone in 1951. During her 38 years studying the runestone, Steward also discovered four more examples of Viking Runes carved into the Oklahoma landscape. These four stones form a straight line, suggesting that they could have been left as trail markers by the Vikings towards the end of their explorations, and serving to signify that this land belonged to the Norsemen. Although there is no test to determine the true antiquity of an inscription on stone, the weathering of the edges of carving in relation to the hardness of the stone and the exposure to the elements is an acceptable guide. Having paved the way, Stewart encouraged others to study the Heavener Runestone in depth. Scholars had been perplexed because the runes seemed to be a mixture of two ancient runic alphabets: six from the oldest Germanic writing which came into use about 300 A.D., and the second and last runes from a later Scandinavian writing that had been used around 800 A.D.
Dr. Richard Nielson of the University of Denmark dates the Heavener Runestone to around 800 A.D., and translates the lettering as a name, “GLOMEDAL”. In 1967, a cryptanalyst by the name of Alf Monge, former U.S. Army Cryptographer, born in Norway, deciphered the runes as a date: Nov. 11, 1012. Further examination of the Heavener Runestone by Monge revealed that the correct transliteration is “GAOMEDAT”, instead of “GLOMEDAL”, as Neilson wrote. Alf Monge further stated that the letters would not translate into sense because they were used as numbers according to their place in the two alphabets. By simply substituting the letters with numbers, this did not give the date directly, but had to be used in the form of a very complicated Norse Runic “cryptopuzzle”, which had been invented by ancient Norse clergymen to hide a date in the puzzle. By using this method, Monge said the Heavener Runestone inscription is the date of November 11, 1012. As this date did coincide with a Norse settlement on the Atlantic coast established in 1008, and there was some indication that the four ships did not all return to Greenland, this date was the most feasible explanation which had been presented at this time. Most archeologists now believe that the stone is an ancient land claim marker. While nothing has been proven definitively, it is almost certain that the Norse Vikings did venture into Oklahoma. Carvings etched on the face of the runestone. The Vikings in North America. Thank you for shedding light on this little known by-way of history. It is amazing how little we know about our past. This is an extremely interesting article. I never heard of these, but I'm intrigued and would love to read more. I enjoyed reading the comments also. I translate as "Henric The king of beers"
and as for sailing up the rivers we have had recreation of Columbus ships in the port of Muskogee several times now (how close they are to the real thing I have no ideal they look real enough to me) my daughter had a blast seeing it all and that's worth the trip. I agree! There's numerous routes they could have taken. There's two main theories that seem acceptable. The first is that after arriving in Vinland, they traveled south until they hit the Mississippi. The other is that they traveled inland from the Great Lakes and on down. I personally don't think that they traveled inland because there hasn't been any real evidence of that. The largest runestone is found in Heavener, then they range in varying sizes on up to Turkey Mountain. 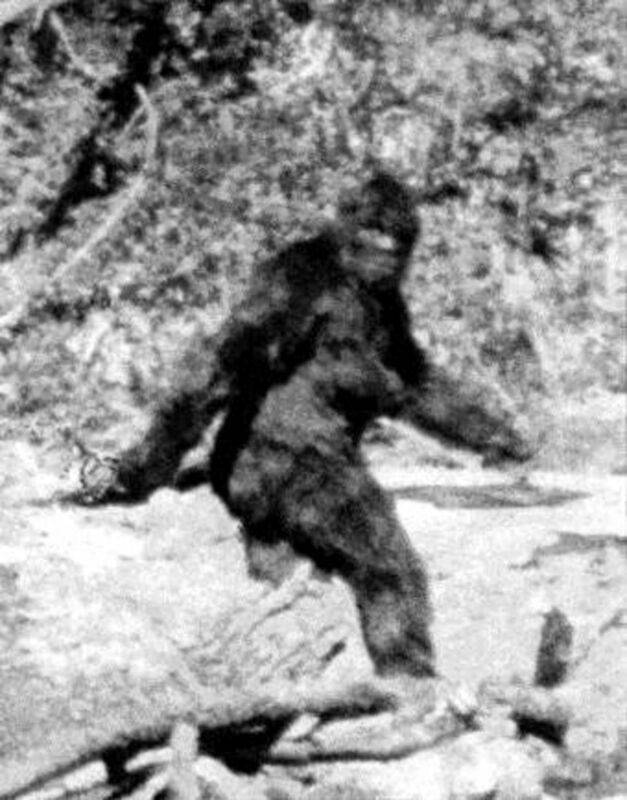 There has been claims of one found further west of Tulsa, but I don't think there's been any real study on that one. 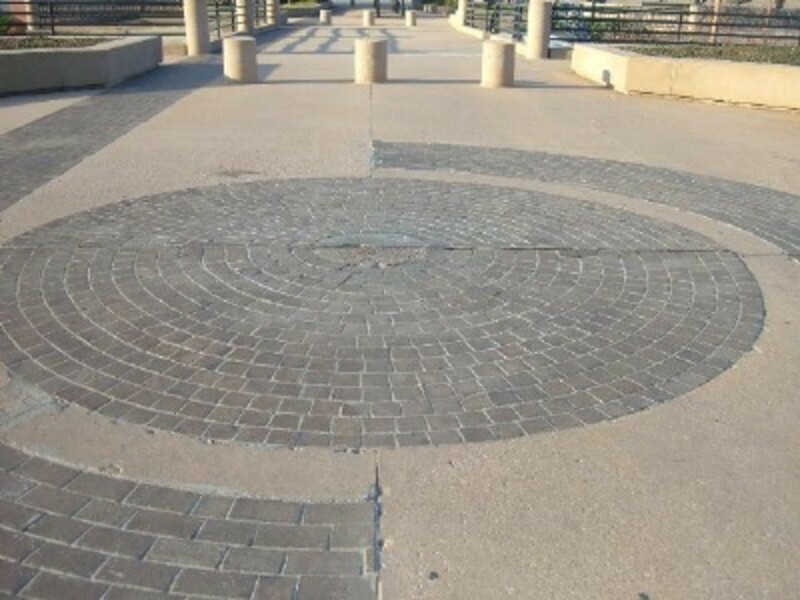 There are 5 documented sites in oklahoma that contain runic inscriptions, in Tulsa there are 4 (turkeymountain and bulldog mountain), poteau, shawnee, heavener, all of them follow a pattern, all the sites are very close to major rivers, from the mississippi to the arkansas river. The vikings did not have to sail up the mississippi, much simpler to sail down the mississippi, to the arkansas river into oklahoma. But just for arguments sake let's say they did not. There is multiple ways besides the mississipi river to sail from the south into oklahoma. Thank you for making this article available to others. I heard of the Heavener runestones, from my brother-in-law, back in the 80's and I wanted to visit them someday. I finally went to the park in 2011 and again two weeks ago. The park is operated by the city of Heavener and they keep it neat and clean. Overnight tent camping is available and they even provide firewood at each campsite, free of charge. The ladies who run the store are knowledgeable and friendly and will take the time to answer any questions you may have. The rock inscriptions may not be pre-Columbian but, I still have a great time at the park just imagining them to be real. Life is too short to get into a metaphorical fistfight about something that really can't be proven or dis-proven. Enjoy the parks beautiful mountaintop scenery, watch the birds soar on the heights, breathe the fresh country air and rest assured that you are in a special place. To all the 'it's fake' crowd - you either, by ignorance or as an accomplice - ignore the 'reasoning' behind the loud dismissal of the obvious; it's all political. If the truth ever got out and the cult of columbus exposed, the entire contrived history of the country comes tumbling down, along with it's favoured institutions. Furthermore, the fact of Norse and Celtic settlers in North America from about the time of Christ onward has not only political/sociological ramifications, but theological truths begin to become more apparent. These truths are roundly and viciously opposed by groups such as the adl, the $plc and the like, so historical questioning must be ridiculed and silenced. Do just a small amount of research and think for yourself folks. Once you begin to see the truth, both current and historical, a whole world of things begin to make sense. Go ahead, try it - it doesn't hurt much, except maybe your pride. I agree with Botipton - very well said! When I put together this article, I spent a lot of time researching and visiting the areas in order to try to provide the most accurate information. I'm not an expert on Viking Lore, and I've never claimed to be, but looking at things as logically as I can then I believe that it's entirely possible that the Vikings visited Heavener and the surrounding areas. The two biggest things that point to this conclusion is the time frame and the amount of work put in. White settlers didn't arrive in the area until after the Civil War. Prior to that, there were a few Europeans here but I simply can't see someone putting in that amount of work on something that nobody would ever see - at least while they were alive. The French fur trappers were just trying to survive, and the Spanish gold seekers were more towards the west, so that essentially rules them out. The Native Americans may have created etchings in rock, but those would have been more along their tribal beliefs - certainly not etchings of a Norse origin. If it was just one stone then I could see the possibility of a hoax, but this was several stones all extending from Poteau Mountain all the way to Shawnee. That's quite a lot of work for a hoax. Still, that's the conclusions that I've drawn based on my research. I agree, you need to actually see the real research, to look at the stones, and to study what you find instead of relying on what other people say. Once that's been done then draw your own conclusions. That goes for everything, not just the Viking Runestone. Too many times, people will simply take things that other people say as truth without doing their own homework. Thanks for laying it out so clearly Sherryayn. A post in response to all the "it's a fake" comments. It is easy to quote nameless archaeologists and claim this as evidence for your own conclusion. This is human nature and shouldn't deter anyone who wants to delve deeper into the findings and come to a conclusion for themselves. Also, I notice that none of the experts people are quoting list the names, statements or links to support the notion they're fake. These experts, how much have they studied this finding themselves? Are they quoting another professional? What credentials do they have to make such a statement? Having a degree does not make you an expert in any field in archaeology. You must be specialized - it's the nature of the beast. There's so much tedium and research involved. If you are going to contribute, do you homework rather than relying on a blanket statement you may have read on the internet. That's right.. the ones that I can remember offhand are the Shawnee Runestone and the Poteau Runestone. The Poteau Runestone still exists but it's in private holding so that it doesn't get messed up. There's a replica of it at the Kerr Museum. Back in the 1800's, and as late as the early 1900's, the Arkansas River was used for navigation. I have found quite a few old photos showing steamboats all along the Arkansas. In fact, Oklahoma's only naval Civil War battle happened just outside of Ft. Smith along the Arkansas. (That would be the J.R.R. Williams) If larger steamboats could navigate the Arkansas, it only stands to reason that the Vikings could as well. My guess is that they traveled up the Mississippi until they reached the Red and the Arkansas. Coming south from the Arkansas is the Poteau River, which was also navigable to a degree. Viking boats would have easily been able to travel "up" the Poteau. (The Poteau River is the only river in the U.S. that flows north.) It is definitely a fascinating story - just one of many located in Oklahoma. Your right it is a beautiful part of the country. I agree if they didn't do it then who did. It seems logical to me that they could have traveled that far. Look how much of this country was first explored on foot or by canoe. If others could travel that way why couldn't the Vikings. So now you have set me off on a new journey to learn more about them. I have many kinfolks that live in Southeastern Oklahoma that have been there since the Trail of Tears and when I called someone older then me they knew about and had seen the stones but said there used to be others that were smaller which had been carried off by people or destroyed. That's been the debate for years. I think that it's entirely possible that Vikings made it into Oklahoma, but I don't think we'll ever know for sure if they did or not. However, with so much evidence, I find it hard to believe that it was an elaborate hoax. In addition to the Heavener Runestone, several other runestones have been found that stretch from Heavener all the way up to Shawnee. Thinking about history, one of the first major groups to arrive in this area was the Spanish, and they didn't spend a lot of time here. Just passing through, so to speak. 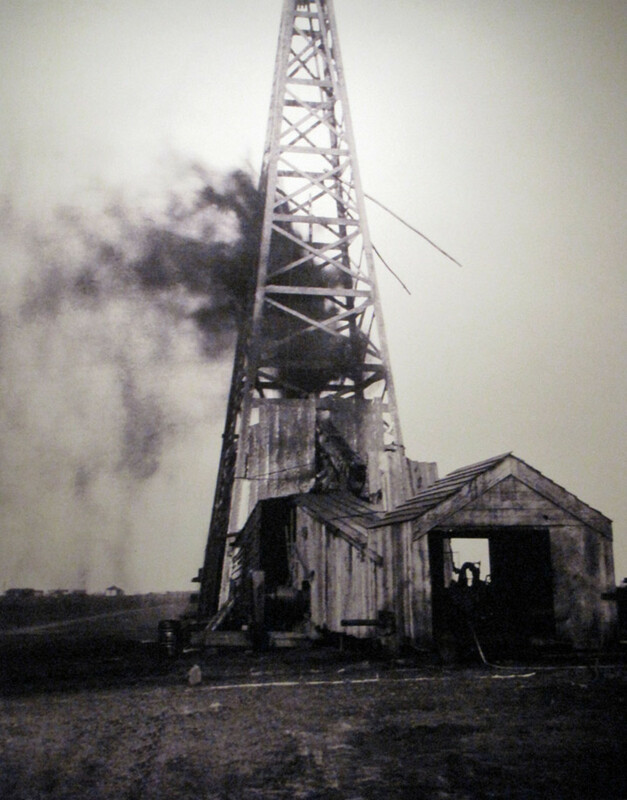 At the time, they were looking for gold, which they found an abundance of in the Wichita's in the west. (Remains of their operations can still be seen today). The could have left the markers, but I doubt that, especially since they mainly followed the Red River. There was some excursions towards Heavener, but not many that I know of. Still, they could have left the runestones as markers, but that would have taken quite a lot of time in an area that they weren't really that interested in. The next big presence in the area was the French. There was a large trading camp set up at the base of Cavanal Mountain, and then again in Ft. Smith at Belle Point. Generally though, these weren't highly educated men and it's doubtful that they knew how to write the runestones. After that, it was quite awhile before white settlement began in the area. By then, stories of the runestones were already circulating, so that means they must have been made prior to the early to mid-1800's. The pieces fit, however, as I said, I doubt there will ever be any concrete evidence. Either way, it's an interesting place to visit. The Heavener Runestone is certainly a sight, but the surroundings - waterfalls, canyons, and mountains - make it spectacular! I have lived in and around Oklahoma for most of my life and didn't know this existed. Next time I am out there I will take time to visit it. Very interesting debate. My question is that if these are a fake then who did them and when? You do make a lot of great points, and I'll take them one at a time here. 1.) While researching the Heavener Runestone, most of the publications that I found by archeologists say that it is very plausible, and easily possible. I have tried to only use reports from people who have actually been to the Heavener Runestone, or at least have seen the (several) other runestones from the area. The consensus of that information that I've found generally states that they do believe that it is an ancient land marker. However, as I said before, not enough research has been done to verify that 100%. Gloria Farley, who has spent over 50 years studying the stone, is convinced that is came from the Vikings. Others have agreed with her, which lends the claim some validity. Still, others have claimed that the stone was ancient, but were reluctant to say that it was from the Vikings. However, they did conclude that it was of "ancient" origins - or at least before Columbus Columbus arrived. As for it being a mix of two different languages, this is another one of those things that are up for debate. Some professionals, such as yourself, claim that it is two separate languages and should be dismissed. Other archeologists claim that it is a distinct dialect, while others claim that there are two separate writings by two different people. Theories abound, but without funding and research it may never be proven one way or another. 2. Viking ships could have easily sailed up the Mighty Mississippi. They were seafarers, and had an intimate knowledge of shipbuilding. Several documentaries, professional essays, studies, and so on has been done to prove this. In fact, there have been numerous times that people, in order to understand ancient sailing methods better, have actually recreated this throughout the world. 3. They could be fakes, true, but it is doubtful. In her research, Gloria Farley cites several old Indian legends of the runestones. In fact, one of the legends that was passed down orally mentioned that the writing on what is now known as the Heavener Runestone had been seen by a Choctaw Indian hunting party in the 1830's. Other legends date back further. By using 1830 as a positive date for the inscription, we can make a few educated guesses here. First, there were very few white settlers in the area back then. Most of those were un-educated, and wouldn't have the technological knowledge to create a fake of this magnitude. Second, most of the people that were in the area - and there were very, very few - were fur trappers and traders. Again, these people knew about hunting, but would they be smart enough to create this "fake"? Very doubtful. This was extreme wilderness, and they only carried the supplies they needed to do their job - which wouldn't have involved carrying an expensive "alphabet" book. Finally, life wasn't easy in that part of the country - most people had to do all they could just to survive. When I picture a bushy-headed mountain man from the early 1800's, I don't exactly see someone who would even contemplate creating a "fake". It just doesn't make sense; first, who would see it? The only major trading camps were located at the base of Cavanal Hill and at Belle Point (Fort Smith area). Second, the tools needed to do this wouldn't have been something that these people would have carried with them. Finally, they would need the intelligence to carry something out like this. So while it is possible that it could be a fake, it's highly doubtful. 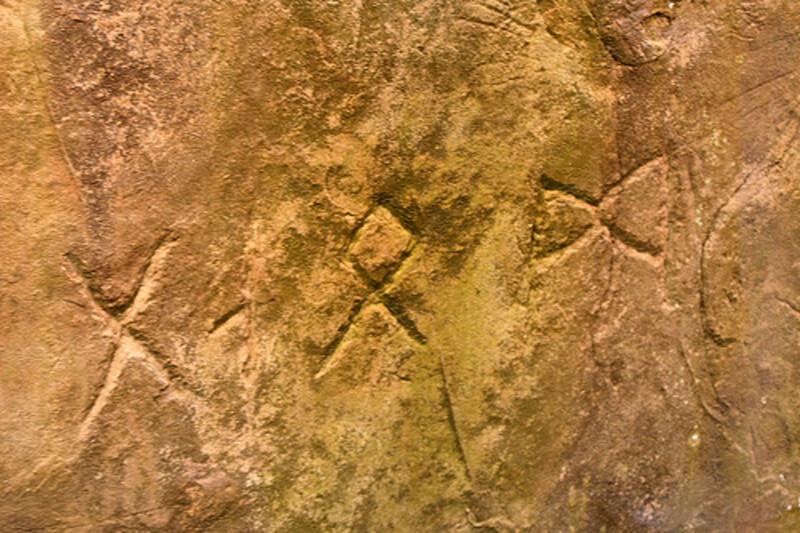 Beyond the Heavener Runestone (and the other runestones found in Oklahoma and Arkansas), there have been several other markings in the area that are assumed to have been Viking in origin. Very few of these have been studied in depth, but those that have bear striking resemblance to other markings found elsewhere. There's simply too much to just blow it off as a hoax. 4. Vikings didn't travel all that way just to find lumber. While nobody knows the exact reason they came, it can be assumed that they were out to acquire new lands. Historically, this has been one of the major reasons why any culture travels beyond it's borders. Once they found new lands, it is easy to see that they would want to know how far this land extends. 5. ...in reference to your "0.0000000000000000000001%", 67% statistics are made up on the spot. Or was it 53%? Finally, you have made some very good points here. There are some things that I partially agree with, and others that I disagree with completely, but I greatly respect what you've had to say. I hope that one day the Heavener Runestone will get the proper recognition that it deserves. It needs to be studied by more than a select few. Perhaps then we will discover the true nature of the runestone. ...and yes, even without the Heavener Runestone, the park is absolutely beautiful. 1. "Most archeologists now believe that the stone is an ancient land claim marker." "No they don't. That is what you want them to believe. Most archaeologists believe it's a fake." The letters are a mix of two writing systems. Imagine an archeological discovery in America claiming the Russians came to Iowa in 1400 in which the letters are a mix of Cyrillic and Latin. This is similar. 2. 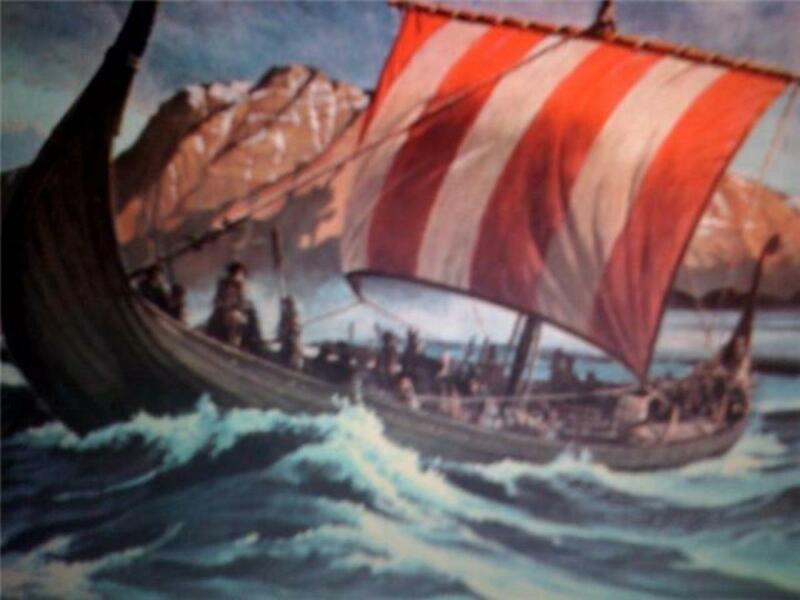 There is no way Viking ships - very well suited for journeys in the North Sea - could go up the Mississippi. 3. They could all be fakes if the same group of people made them all and distributed them. One motive might be to trick people (read about the Piltdown Man hoax), another to raise toruism. 4. The Vikings definitely came to Newfoundland in 1000 (I think this counts as N. America) and may have ventured down the Atlantic coast for lumber, but not as far as New York. If you are looking for lumber and find it in Maine, why do you go further? You cut down some trees and start conveying them to your base. I have never been to this park. It might be a very nice place. But Viking scholars agree there is a 0.0000000000000000000001% chance the Scandinavians came to Minnesota or Oklahoma before 1700 (if that early). The sagas are great fun to read. Njal's Saga, Grettir's Saga, Laxdaela, and so on. Happy reading. Caitiln, it still remains an unknown as nothing has been proven beyond a doubt. Still, there is a lot of evidence that the Vikings were in the Poteau area. Unfortunately, there hasn't been a lot of funding to really do the in-depth research that needs to be done. Over the years, there have been several runestones found around the Poteau and Heavener area. Since the Heavener Runestone is the largest, it has gained the most attention. I had a chance to see the Poteau Runestone a few weeks back and, personally, I can't see how they can all be fakes - especially with the way that they were discovered. In all, it's possible to see how they arrived here. 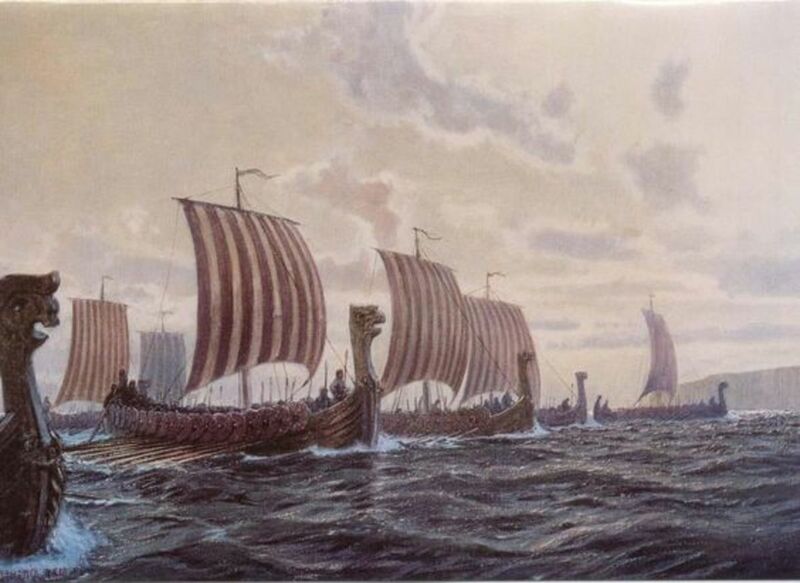 If other cultures could brave the open seas in canoes and long-boards, why couldn't the Vikings do it with more sophisticated machinery? I hope that one day the funding will be there to prove definitely that the Vikings did or did not visit Oklahoma. I'd also like to add my disagreement with this article. Most archaeologists do not support the claim that Vikings were ever in N. America in Pre-Columbian times. Archaeological evidence supports the furthest they seem to have gotten was Newfoundland as evidenced by the L'Anse Aux Meadows site. I have just made a discovery which validates the fact that the Vikings were in Okalahoma. Please visit http://www.thekensingtonrunestone.com for complete information. In case you have seen the website before there is now new information on it. The consensus among the actual scholars in linguistics and runology are that it's fake. I learn't rune writing in school and made several rune inscriptions. The scandinavians that came to that area probably knew it even better as it was in the time when old scandinavian culture were of major interest to the scandinavian diaspora. When I research these articles, I do my best to provide true, valuable content. From the trade journals and other sources, what I've learned is that most archeologists that have studied the site Do believe that the stone is an ancient land claim marker.. Some are on the fence as to whether or not it originated from the early Vikings, but the consensus is there. "Most archeologists now believe that the stone is an ancient land claim marker." No they don't. That is what you want them to believe. Most archaeologists believe it's a fake. Thanks a lot on this insights. As I searched every resources online, there are really few post regarding the Vikings civilization. At least the rune stone serves as a concrete evidence of their exploration. I have visited the Heavener Runestone a few times myself and also done some research on it. The monolith, what it says, who inscribed the runes, and when it was done is a subject of controversy. 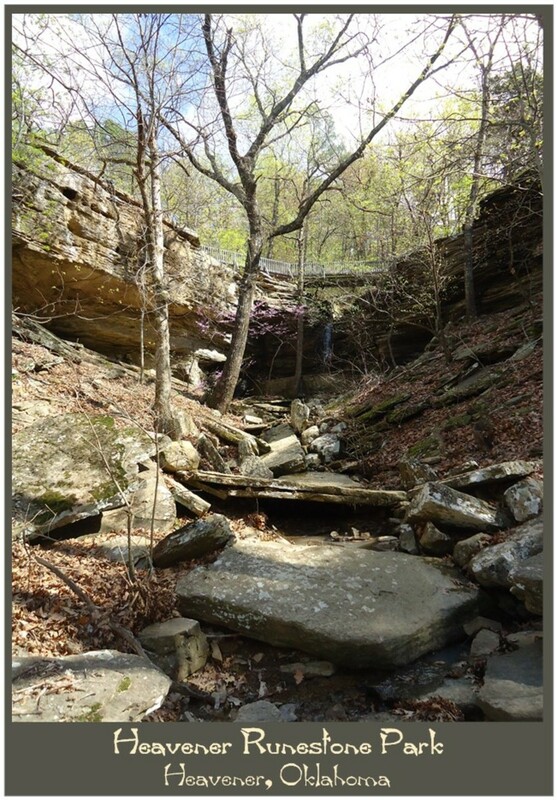 If you go to the park, which is really a nice state park, no doubt about that, the information provided by the Oklahoma State Parks Department at the top of the valley gives the academic and definite impression that the archaeology concerning the Heavener Runestone is settled. In fact it is not settled at all. Let’s begin with step # 1: Getting from Norway via Iceland and Greenland to the northeastern Canadian coast. The Vikings would have found new land probably at Newfoundland (get it??). Then they would have traveled down the Atlantic coast of The New World. Step # 2: They then sailed/paddled south down along the peninsula of Florida, around the Florida Keys, up through the Gulf of Mexico, hanging a right at the Mississippi Delta. Step # 3: Heading UPSTREAM on the mighty Mississippi River in a ship built before 1000 AD? (On a side note the Mississippi River flows SOUTH at a rate of 1.6 million gallons per second!) Most rivers flow from north to south, with one notable exception to be mentioned later. But in “Vinland” – present day North America - NO river rivals the power of the Mississippi River. Certainly the Vikings had never seen a river like it before in their homeland of Scandinavia. Step # 4: Then after paddling upstream on the Mighty Mississippi some 500 + miles, the Vikings decided to hang a left at the confluence of the Arkansas River near what is today southwestern Arkansas. They would have traveled then on the Arkansas River about 160 miles (also upstream) until they reached the Poteau River. Now the Poteau River also runs basically north to south BUT it is the only river in Oklahoma that flows north!! ...AND... the Vikings travel, once again, upstream because they want, or need, to go south on the Poteau. Poor Vikings! Step # 5: On their third upstream river the Vikings would have gone about 50 miles on the Poteau River. Granted, the Poteau River is no Mississippi or Arkansas River. In fact the US Geologic society refers to it as The Poteau River but classifies it as a “stream”. Step # 6: Assuming that these weary sailors just happened to bring their boat ashore at the closest possible point to "Glome's Valley, it would have still put them about 10 miles walking distance from the Heavener stone, where they finally decided to make a claim to some land and they apparently claimed it for Glome. Try this journey sometime with first millennium technology. It’s a piece of cake. Just 6 steps from Scandinavia to LeFlore County, Oklahoma. In addition to this hypothetical journey there are problems with the runes. Some are (perhaps) turned backwards and it appears to be a mixture of two different kinds of runes. One scholar even said that it appears that whoever inscribed the runes did so with a mixture of knowledge from two different rune scripts or variants and for some reason combined them in this particular inscription. A couple of the more influential “experts” are not archaeologists, historians or linguists, but rather hobbyists. The most outspoken detractor from the Viking theory is a minister with a Doctor of Divinity degree. Yes of course he has his own website! The leader of the Vikings in Oklahoma crusade is without a doubt Gloria Farley. She is the self educated expert on the Heavener Runestone and she was also instrumental in the building of a state park around the stone based on her theories. Mrs. Farley believed at first that the inscription read “Gnomes Valley”, later said it could be “G. Nomedal” because Nomedal is apparently a common last name in Norway. Then even later Farley settled on a translation put forward by a Danish born and educated engineer, Dr. Richard Nielson. (His PhD is in Engineering.) Dr. Nielson believed the inscription read “Glomes Valley” and that seems to be the story that the state of Oklahoma bought when it decided to build a state park around the runestone. One of the experts believes it is a runic cryptogram for a date (November 11th 1012). Most Scandinavian philologists and historians have dismissed the Heavener Runestone as being from the 19th or even 20th century. In the end the State of Oklahoma built a state park with Oklahoma tax payer money. They did so hoping to bring tourists in to visit and see a large, inscribed stone, which may or may not be what it claims to be; and it may in fact be an inscription made by much later European explorers who could have had a faulty but working knowledge of runes. It really is an amazing place. I love just hanging out around the cliffs there, it is such an unusual place. It's still hard to wrap my mind around the idea that there were Vikings in Oklahoma - but then again, there's so much we don't know, anything's possible. I've been to the Heavener Runestone a dozen times and it never ceases to amaze me that this is so little known. I have to thank you for reminding me of it, and for publicizing it!